Will other financial innovations spin-off this daring move? Dubai recently announced that it is launching a cryptocurrency called emCash, that will be used through a mobile-based wallet called EmCredit. It will be the world’s first state-backed cryptocurrency, meaning digital currencies and the underlying blockchain technology have reached a critical milestone on the way to becoming mainstream. The tiny but influential emirate also has grander ambitions – to place all government documents on the blockchain by 2020 and become the first sovereign state to be run entirely on the blockchain by 2030. The crypto world is waiting for further details about what blockchain technology will be used for their cryptocurrency and when exactly it will be available to trade. It is going to be a fascinating real-life study to watch emCash being used alongside the Dirham and to see what other financial innovations will spin off this daring move. 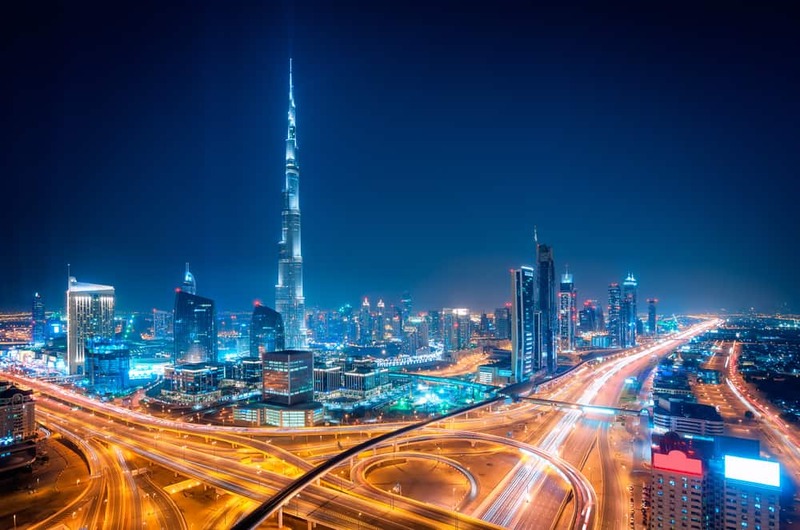 Dubai is now the frontrunner to be the first sovereign state to phase out fiat currency, which will be the next significant milestone in the global acceptance of cryptocurrencies. Two other countries that are also ones to watch in the sovereign cryptocurrency race are Russia and Venezuela. Although the motivations for those nations to adopt digital currencies are vastly different. Russia has also shot up the ranks as a country likely to swap to a pure cryptocurrency with the announcement in October that they are creating their cryptocurrency on the blockchain called the CryptoRuble to combat corruption and money laundering. Putin has said that all other cryptocurrencies will be banned in the country when the CryptoRuble launches by the end of this year. What this does to rival Bitcoin’s price will be something to closely monitor, as Putin has said that the homegrown cryptocurrency will be traded internationally and will be on the Moscow Exchange. It looks like it will be heavily regulated and appreciation on the coin will be taxed at 13%. The contradictory messages coming out of the Russian announcement show the country is going to struggle with their well-known command and control style government and the decentralized philosophy on which blockchain and cryptocurrencies are based. Only when the currency is trading will we see which side will triumph. Sadly the move from fiat to cryptocurrency is more likely to be out of necessity for Venezuela, currently experiencing the collapse of its government, hyperinflation and an economic depression that is deeper than what the US experienced in the 1930s. The trade in goods and services on the unofficial market is being conducted in cryptocurrencies, as the Bolivar is in reality trading at 10,000 to US$1. Restaurants in Venezuela have stopped putting prices on their menus as daily fiat volatilities render fixed prices useless. If Venezuela becomes the first sovereign country to move to cryptocurrencies, other South American countries are likely to quickly follow, such as Argentina which also has a long history of economic and political turmoil and has a very active bitcoin trading community. Colombia has expressed enthusiasm for adopting cryptocurrencies in line with their vision to become Latin America’s most innovative nation. They would be the most stable country economically in the region to transition away from fiat currency. Let us know in the comments section which countries you think will be first to go entirely crypto and when.